Despite independent evidence that reminiscing about positive events has positive emotional benefits, and that laughter plays a role in seemingly successful relationships, there is a lack of empirical research examining how reminiscing about laughter might influence relationship well being. Specifically, the current study assessed whether reminiscing about shared laughter would increase relationship satisfaction among romantic couples. Fifty-two couples were randomly assigned to one of four reminiscing conditions and completed pre- and post-manipulation assessments of relationship satisfaction. As predicted, couples who reminisced about events involving shared laugher reported higher relationship satisfaction at the post-manipulation satisfaction assessment as compared to couples in the three control conditions. 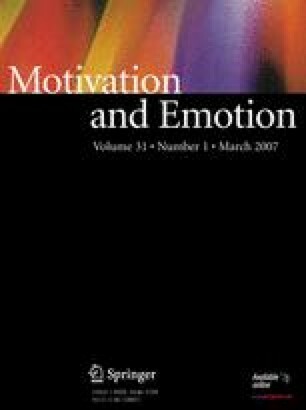 The effect was not attributed to positive mood induction as mood scores across groups were similar. Results show preliminary support for the notion that reminiscing about laughter may have a more potent influence on relationship well being than reminiscing about other positive events. Author’s Note: We would like to thank the U.S. Department of Education for providing a stipend for Carmen Pyles Davis, which partially supported this project. We wish to thank Lisa Curtin and Denise Martz for providing helpful comments on earlier versions of this paper.